The chaos of a raging storm or the tenderness of a falling snowflake both have the ability to evoke an emotional response. They set a scene and prepare the audience for what’s to come. This audiovisual conveyance is what captures the attention of a user and provides a buffer for slower paced storytelling, whether that’s through gameplay or otherwise. The first time I became enamoured with an in-game environment was after seeing the introduction sequence to Zelda: A link to the past running on the SNES. 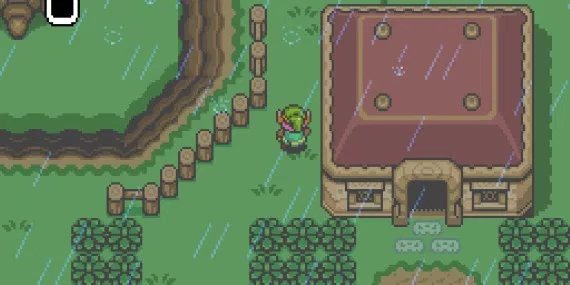 The scene has become iconic in gaming – the player wakes up in the midst of a thunder storm, during the night, to follow after their father who has left to rescue Zelda. It succeeded in exploiting human curiosity and maintaining dramatic tension. Up until then I was preoccupied with 2D platformers. These, while being incredibly popular and having laid the foundation for their genre, lacked the depth that came with RPGs and had little to no focus on storytelling. Zelda was my first time exposure to what a game could be, a prescribed emotional experience. Since that time, plenty of titles, even those light on plot, have delved into using weather as a means of enhancing the narrative design. This is the idea of using a story element as a gameplay mechanic. Think of having to find shelter during intermittent gusts of wind or putting out a fire by summoning rain. Narrative design in the context of the user experience means making sure the interactions required to play are relevant to the story. There are plenty of great examples showing how weather and the environment can be used to enhance this process and I wanted to provide an awareness of some of the ones I find most interesting. A ghost town in the aftermath of Chernobyl makes for a curious setting but there’s more to it than that. 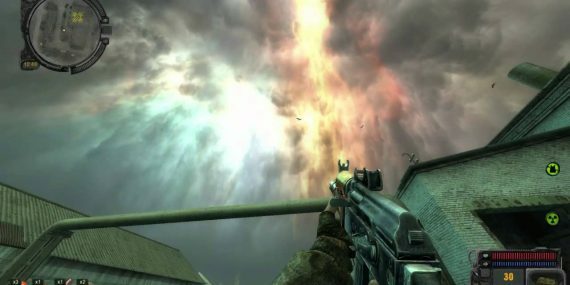 In Stalker, the environment is sentient and at various intervals releases pent up psychic energy in the form of ’emissions’. A siren sounds and the player has seconds to find shelter before the sky turns against everything beneath it, showering death in the form of red light. The sense of desperation this creates if the player is in the middle of nowhere is formidable and the panic compromises any ability to think clearly. If you’re lucky, there might be an abandoned building nearby or, if you look closely enough, an entrance to a sewer. There’s also the possibility that, in your mad visual sweeping of the surrounding area, you miss everything. Happily though, the minimap affords some mercy in that, during this time, it highlights the nearest safe zones. As a revenge story and murder mystery, entire books can be written on Shenmue and it’s implementation of narrative design but I promise to stay on topic. As part of its suite of innovative features, the environment changed as the story progressed. There were situations in which the player was required to be at a very specific time and place to initiate dialog with a potential lead. Without any means of ‘skipping time’, the player is presented with the choice of whether to use it wisely or ‘squander it’. Whether it’s invested in training or playing darts is entirely at your whim and the outcome is always fun thanks to the minigames involved. To everyone’s delight, on snowy days the environment would undergo an audiovisual metamorphosis. The quieter roads would accumulate far more snow and ice than the busy streets of the shopping district and the sound of your footsteps would reflect this change. Similarly, when it rained, pedestrians could be seen with umbrellas. 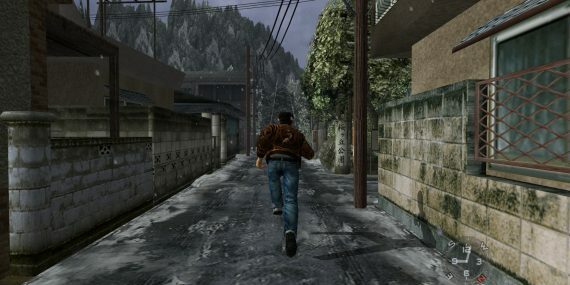 Today, these adaptations no longer represent the technical feat they were at the time of release but credit goes to Shenmue for being the first to tackle dynamic open 3D environments in this manner. The promise of Dark and Light was that of a vast open world which spanned 40,000 square kilometres of terrain. While it succeeded in delivering this, the initial release back in 2006 was received poorly due to a lack of content. The other unique feature, in addition to its size, was that time played a very real role in the world. As seasons passed, so did the freezing of large bodies of water, allowing players to cross on foot. Snow would also gather on mountains, allowing players to slide down on the back of their shields leaving trails in their wake. Despite there being very little to do, the seasons added a lot of value to what would have otherwise been a blank canvas. By simply picking a direction and walking, one could become immersed in the visual representation of the journey. This wasn’t enough to save it however and the concept is being revisited as of 2017. I mention it here because it was one of the first games to attempt full seasonal transitions on such a large scale. Cooperative zombie survival has never been more fun thanks to a unique twist in this campaign. 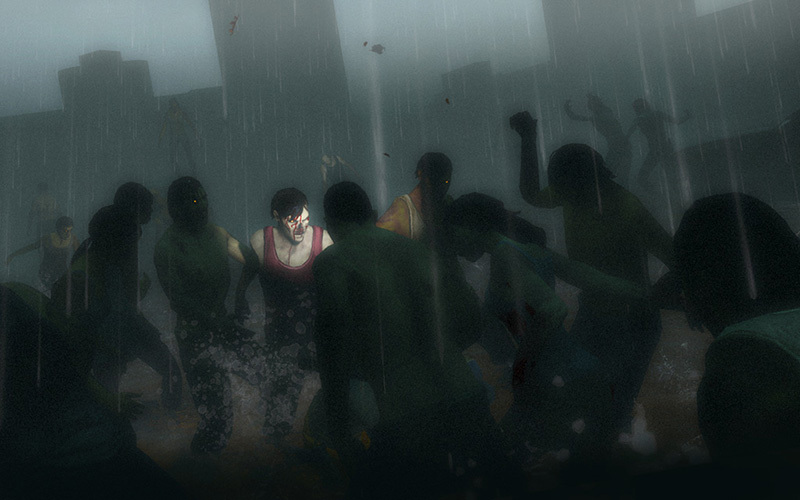 The second half of the level requires that the players backtrack to a previous location but in the middle a torrential downpour. The visibility is severely diminished and the deafening roar of the rainfall drowns out the audio cues one would normally rely on to prepare for danger. The game also interferes with the voice communication making it more difficult to hear what your teammates are saying, forcing them to speak more loudly. A prevalent theme throughout this talk of weather and seasons is time. In Oracle of Seasons, the state of flow can be manipulated through the use of an item carried by the player. Moving from one season to another allows the environment to be experienced in one of four different states. In summer, water sources evaporate and allow the player to traverse the bottom of a lake or riverbed. In winter, bodies of water freeze thereby allowing the player to cross, unimpeded. In spring, the winter snow thaws causing floods and a rise in water levels. In autumn, leaves fall and create traversable bridges over holes in the ground. The ability to control the environment provides an opportunity for creative problem solving. Players will also have a preference regarding their favourite seasons and default to these as the opportunity arises. There are many more games which use these narrative devices and honourable mention goes to ‘The Long Dark’ for its focus on surviving the cold and ‘Metal Gear Solid’ for making creative use of camouflage options to blend in with different environments and weather. That’s all for this week, I’m going to continue exploring narrative devices for a few more posts as they continue to fascinate me the more I think on them. See you soon! Can’t believe I never thought of weather as a design element, yet it’s been in front of me all this time. One game in particular that comes to mind is Metal Gear. The rain causing puddles which would alert guards to your foot steps and the cold causing you to sneeze. It’s really interesting thinking about in retrospect. The number of possible interactions is endless. I enjoy exploring these examples as it’s reverse engineering a creative process. great article! I never saw weather as such an influencing element in games. I thought of it as an atmospheric aspect, contributing to the mood, but never as a pacing element, which is very interesting. So much more than just atmosphere. Thanks for the little eye-opener.